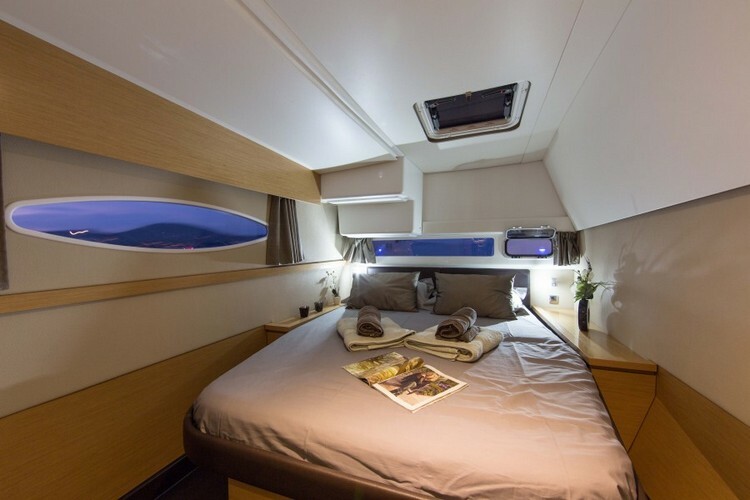 Helia 44…a catamaran for rent in Croatia. 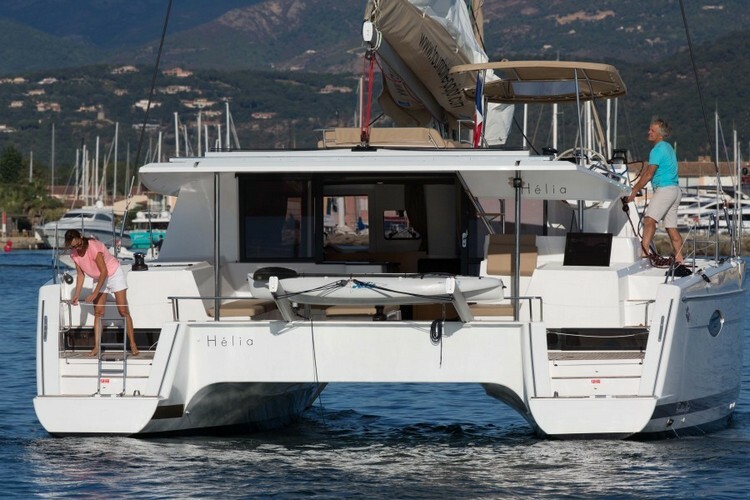 Fountaine Pajot Helia 44 is a very modern and innovative sailing catamaran available for charter in Croatia. 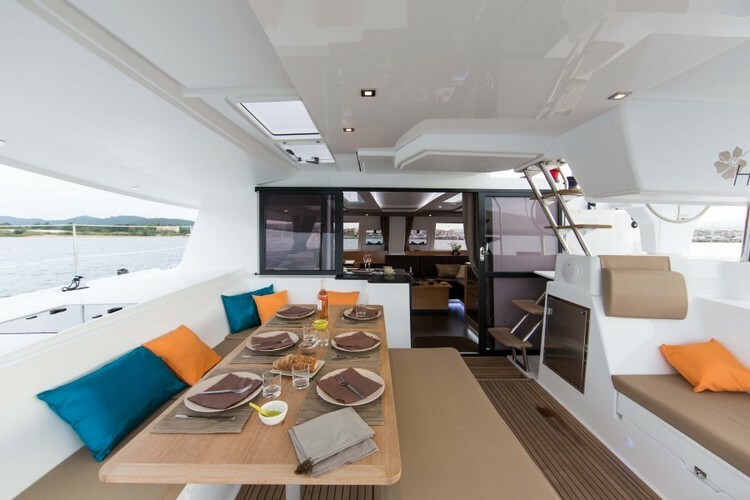 The main and the most important features Helia 44 is offering to the demanding charter guests are attractive design, impressive performance, optimal safety, easy handling that set new standards in the world charter trends. 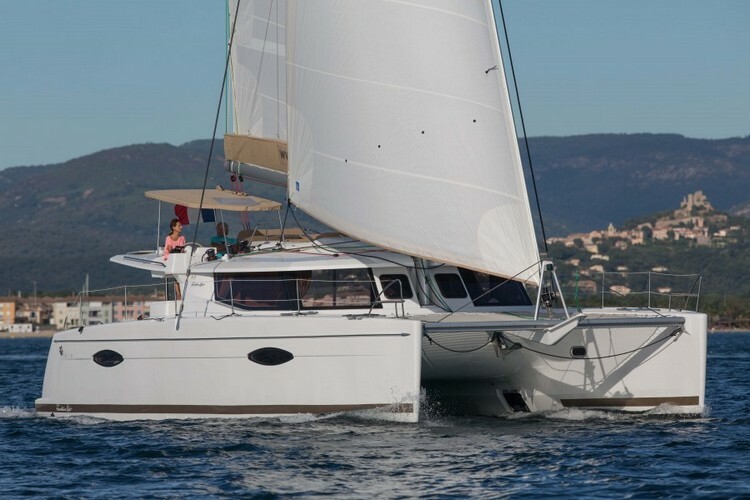 This sailing catamaran offers excellent harmony of performance and comfort. 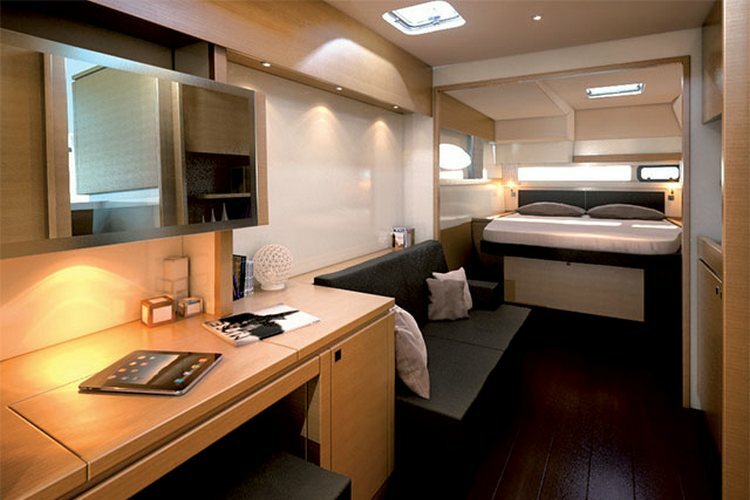 With all the modern and innovative characteristics Helia 44 will even exceed the expectations of it’s guests. In Croatian charter market this catamaran comes in version with 4 double guests cabins. 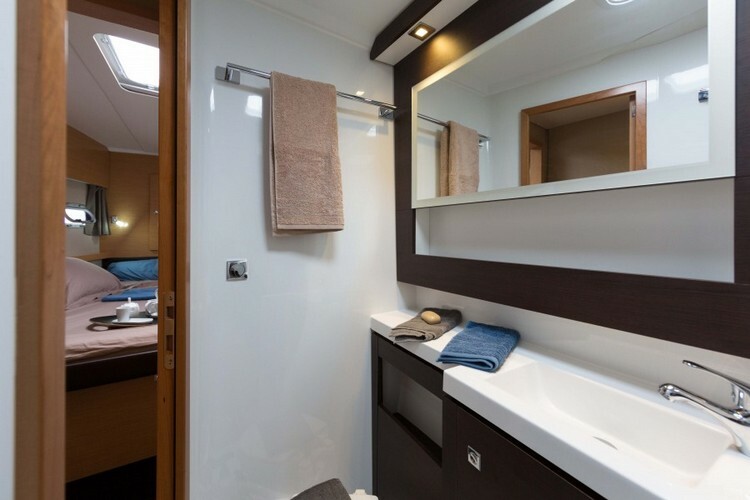 Each cabin has a queen size bed with private ensuite head and separate shower compartment. Cabins have excellent natural light. The saloon is modern, luminous and airy with comfortable seating and the table that coverts to a bed and can accommodate additional guests, if needed. 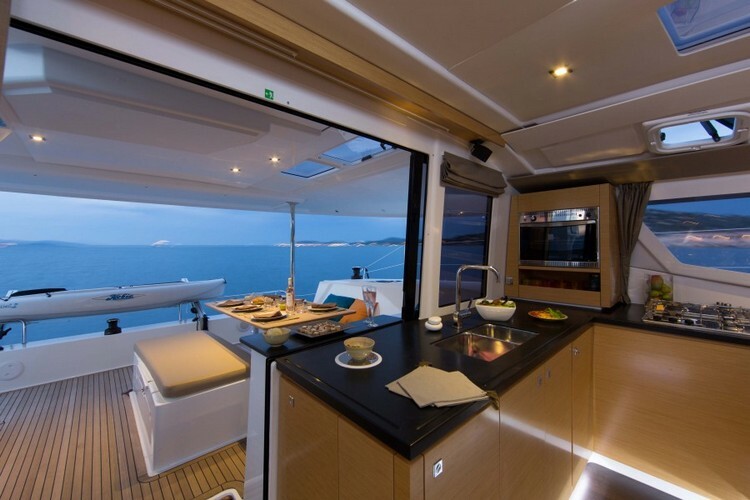 The U-shaped galley is well equipped with a three burner stove, oven, a modern two drawer stainless steel refrigerator, a freezer and generous storage. The cockpit includes a large dining table and bench seating for 8 to 10 persons. 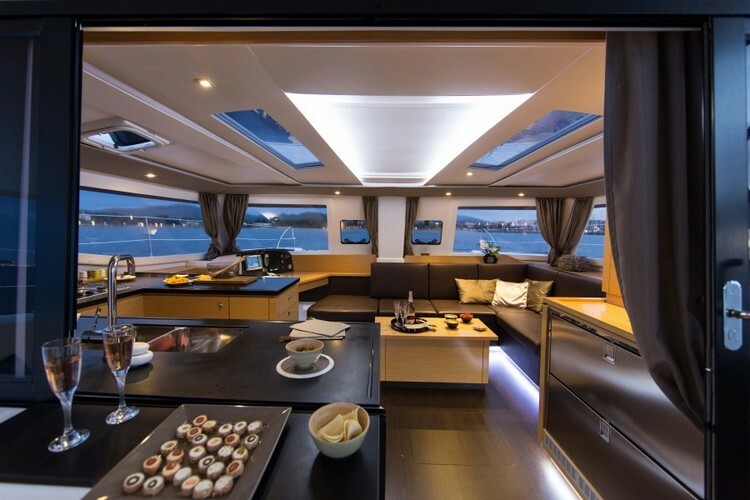 The hard top bimini provides ample shade with the skylights allowing one to look up and see the sails! 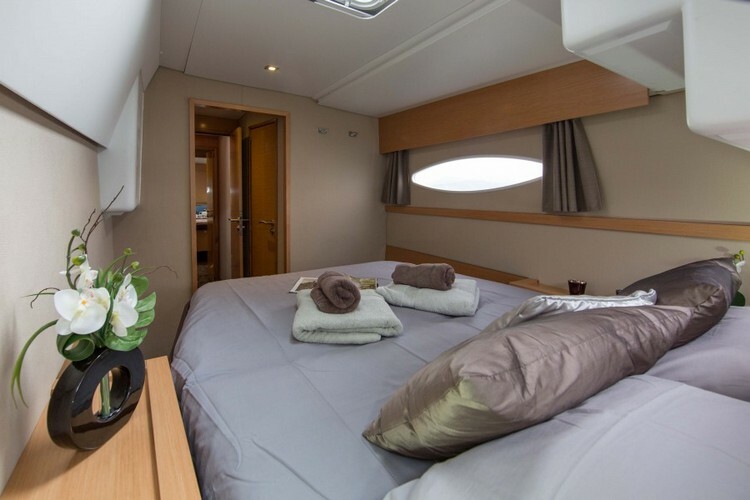 Here you can find basic information about Helia 44. Other specifications, can vary from boat to boat, therefore we recommend to search for particular Helia 44 from our database, in the destinations of your preference.